A table for one at The Good Life Eatery is a pleasurable, relaxed experience and their down-to-earth philosophy enthuses a positive and imaginative outlook on healthy food. Dishes are wholesome and nutritious, but there is no compromise on flavour – the menu refreshes frequently, using the best quality and locally sourced ingredients. With no WiFi available, you’ll also benefit from a little escapism from digital distraction and your visit will be all the more nourishing for it. In the heart of Soho's slutty end, Spuntino was pretty much designed with solo diners in mind. All of the seats (with the exception of one separate booth), are bar stools, set around a long table that snakes around the bar. Aesthetically, you could be sitting in Williamsburg - exposed walls and American style bar stools (check out the original tiles on the walls, this used to be a Victorian butchers). Food wise, it's All-American comfort. The eggplant fries and truffle egg toast are my personal favourites. This was a word-of-mouth stalwart in the heart of Soho for many years and its successful formula of simple, fresh and colourful vegetarian and vegan food garnered enough worthy praise and footfall to warrant expansion across three other branches in Camden, Kings Cross and Dalston. 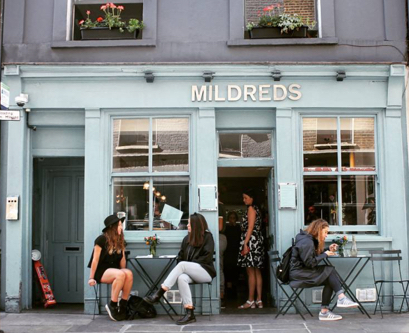 Mildreds has a lovely, easy-going energy that caters for all preferences, even for those who usually love meat and eating here epitomises the pleasure of dining solo. 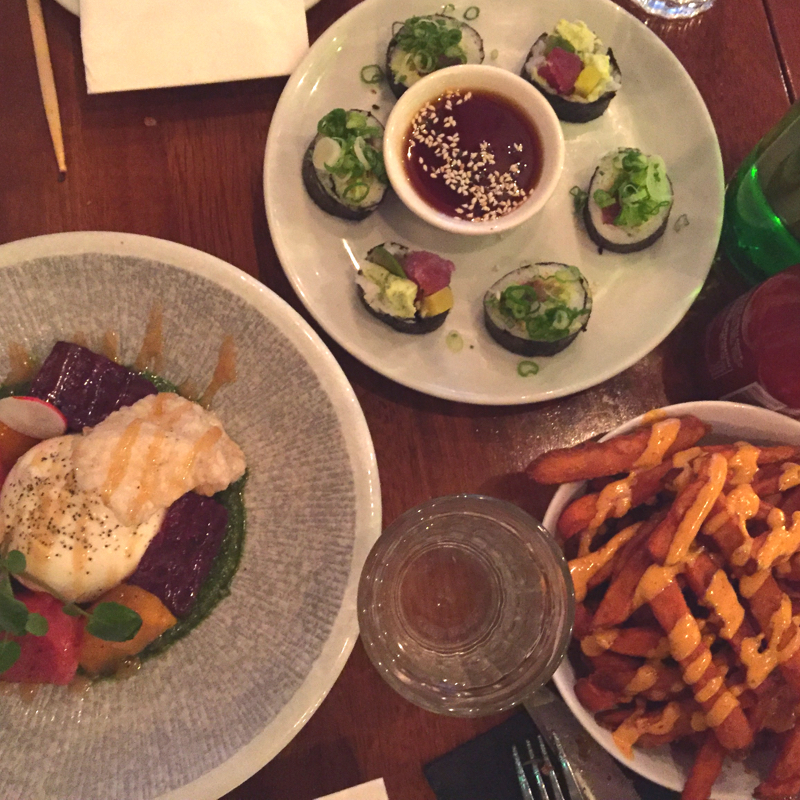 This cosy spot on Soho's Greek Street is perfect for solo diners, with high stools set up around the long table that runs through the front room of this friendly restaurant, that offers a fusion of Korean dishes with an American soul food twist. The KFC (Korean friend chicken wings) are an absolute must. One of the busiest spots on Islington's Upper Street, Ottolenghi has a long central table at the back of this beautifully stark restaurant, with an unhurried vibe. It's veggie heaven with an ever-evolving menu, created by celebrated Isreali chef Yotam Ottolenghi. You can only reserve a table on weeknights, or it's first come, first served at the weekend (expect long brunch queues on a Sunday). With its modern and airy interior, communal seating and swift counter service, Princi is the place for the solo diner who wants a scrumptious, fuss-free meal. 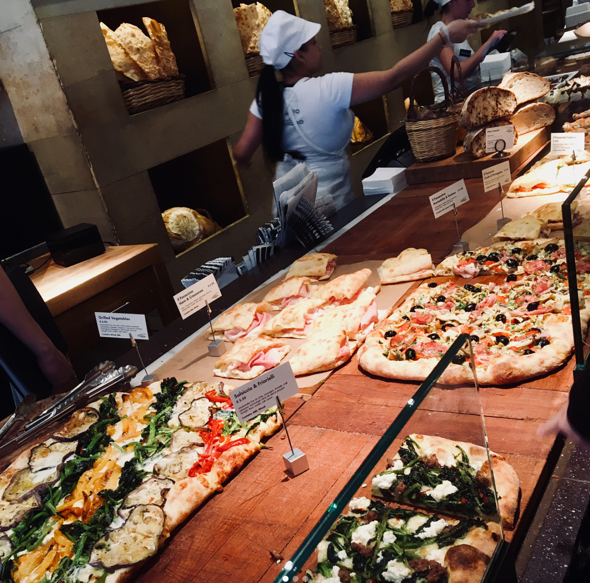 Make your choice from a selection of Milanese-inspired pizza slices, salads and mains at the counter, pick your seat and settle in for an inconspicuous meal for one. It’s nestled in thriving Soho, so you won’t be short of people and watching-the-world-go-by opportunities to accompany those fine Italian flavours. Pull up a stool at this tiny corner spot in Hackney and take your time over small plates of Jewish comfort food. This is a local favourite and the owners are so friendly that you’ll instantly feel like a regular. 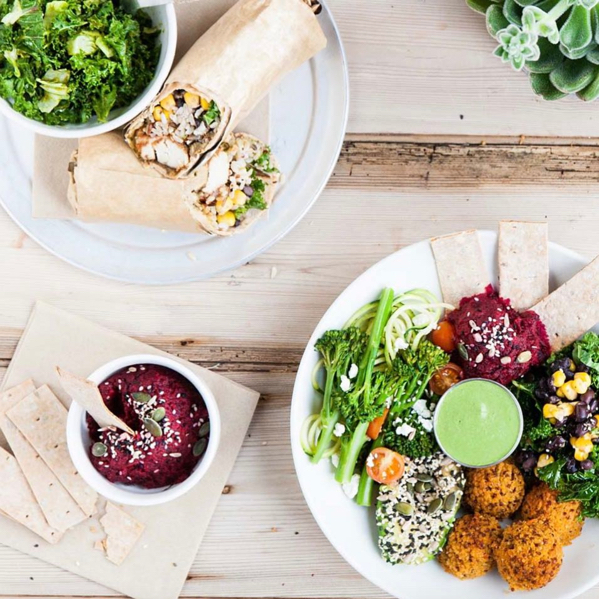 With several branches of this popular French communal table and bakery dotted around London, Le Pain Quotidien is a haven for solo diners who can find solace amidst a bustling but relaxed atmosphere of chatter and comings and goings. Orders are centred around their expertly crafted breads and they serve excellent brunch and lunch plates. I’m particularly fond of their spelt and quinoa scone served with ricotta and the comforting almond milk matcha latte. The latter is served in a signature round bowl, ideal for cradling in your hands over something to read. A huge thank you to Emma for helping me compile this list :) Emma curates The Art of Travelling Solo, a website that maps her adventures as a single traveller and celebrates the freedom and empowerment that can be found in being your own very best travel companion. A solo city break aficionado, her favourite places for one include Gothenburg, Seville and Berlin. She currently lives, works and daydreams of travel in London.